Welcome to Qismat Yinus' Blog: Did KCee Limpopo Actually Pay Nicki Minaj N68m To Feature On His New Track? 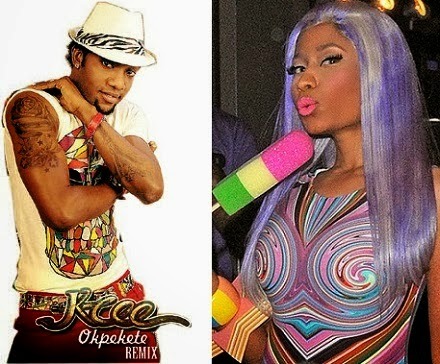 Did KCee Limpopo Actually Pay Nicki Minaj N68m To Feature On His New Track? According to reports, Limpopo Crooner, KCee who is planning to record a new single with American Rapper,Nicki Minaj has already paid her N68m for her to feature on his new single. KCee and label mate, Harry song are in the United States, for various shows, and attended the 56th edition of the Grammy Awards which took place on Sunday January 26th, 2014.